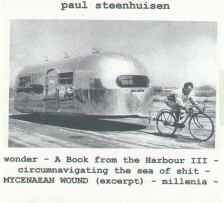 Paul Steenhuisen (born 1965) was raised in Vancouver by parents from The Netherlands and Curaçao. The confluence of his heritage and upbringing in North American culture has informed both his education and musical output. In addition to earning his doctoral degree from the University of British Columbia under the direction of Keith Hamel, Paul Steenhuisen studied with Louis Andriessen at the Royal Conservatory of Music in the Hague, privately with Michael Finnissy in London, England, and with Tristan Murail at IRCAM (Centre Georges Pompidou, Paris). 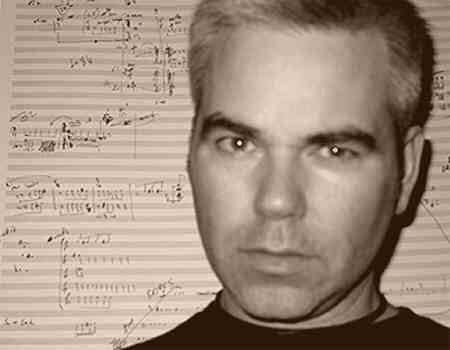 Between 1998 and 2000, Paul Steenhuisen was composer in residence with the Toronto Symphony Orchestra, and in 2003, he was appointed Assistant Professor of Composition at the University of Alberta. During his student years, Steenhuisen was laureate of many national and international composition competitions, including 4 awards in the CBC Young Composers competition, 7 awards in the PROCAN/SOCAN competition, 1st prize in the Vancouver New Music competition, and as finalist in the Gaudeamus Competition (Netherlands). He was also awarded the Governor General of Canada Gold Medal as the outstanding student in all faculties at the University of British Columbia. Since that time, Steenhuisen has been active internationally, at festivals and on radio. Wonder, for orchestra tape and soprano, was one of two works chosen by the CBC to represent Canada at the 44th Tribunes Internationale des Compositeurs at UNESCO in Paris, where it was given the honour of being a recommended work, and subsequently broadcast in 23 countries. This led to feature performances at the Musikprotokoll Festival in Graz, Austria, and a commission from Austrian radio (ORF) for Klangforum Wien. Most recently, the same work (Bread) represented Canada at the ISCM World Music Days in Yokohama, Japan, and was also played at the annual BONK Festival in Tampa, Florida. His music has also been performed at each of the major Canadian festivals, including the Sound Symposium, Montreal Nouvelles Musique, the Massey Hall New Music Festival, Open Ears, The Winnipeg New Music Festival, and the Vancouver International New Music Festival. 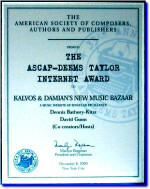 Performances at other international festival include those in Adelaide, Sydney, Darmstadt, Ought One (Vermont), and Three-Two (New York), while on radio, his music is regularly performed in Europe, Asia, Australia, and North America. Acoustic and electroacoustic compositions by Paul Steenhuisen have been commissioned and presented by many dedicated performers of contemporary music, including Valdine Anderson, Guido Arbonelli, Irvine Arditti, the Austrian Radio Philharmonic w/Arturo Tamayo, the Esprit Orchestra, Batterie Park Percussion Collective, The BONK Chamber Ensemble, SMCQ, The Hilliard Ensemble, the CBC Vancouver Radio Orchestra, Kathryn Cernauskas, Lawrence Cherney and Soundstreams Canada, The Composer's Orchestra, Continuum, Marc Couroux, Ensemble 2e2m, Ensemble Tokyo COmeT, Lori Freedman, Barbara Hannigan, Margaret Lancaster, Marshall McGuire, Laura McPheeters, Musica Verticale, Netherlands Chamber Choir, Elizabeth Skillings, Benny Sluchin, IRCAM, the Toronto Symphony Orchestra with Jukka-Pekka Saraste, Vancouver New Music with Owen Underhill, The Vancouver Symphony Orchestra with Bramwell Tovey, and The Montreal Symphony Orchestra with Roberto Abaddo, among others. Paul Steenhuisen is an Associate Composer of the Canadian Music Centre, serves on the executive of the Canadian League of Composers, is president of the Canadian Section of the ISCM, and is a member of the Morningstars Hockey Club. He is also a regular contributor to The Wholenote magazine.